The results for the 2018 UNISWAG Sub-Awards are in! 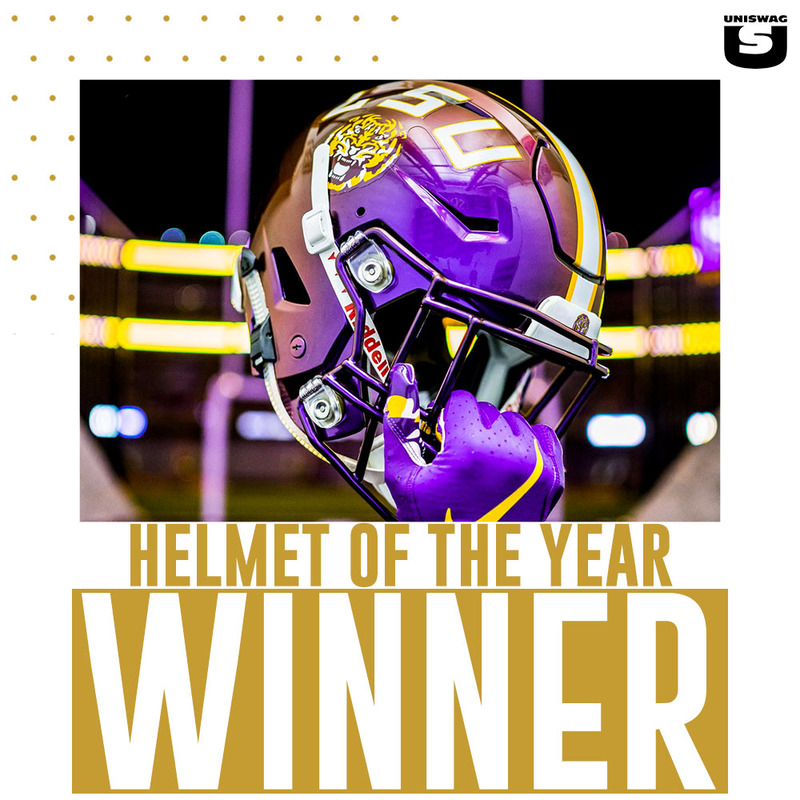 The four sub-categories that fans got to vote on were; Helmet of the Year, Military Appreciation Uniform of the Year, Throwback Uniform of the Year, and FCS Uniform of the Year. This year the UNISWAG committee nominated the top eight teams for each category and then allowed the fans to vote on which team they liked best for each category. LSU claimed the Helmet of the Year Award with their color changing, Mardi Gras bead inspired helmets. Army’s “Big Red One” uniforms took home the Military Appreciation Uniform of the Year Award. The Throwback Uniform of the Year was won by Oklahoma State with their Barry Sanders Era inspired unis. Finally for the third straight year JMU claimed the FCS Uniform of the Year Award. Now the UNISWAG uniform of the year voting is live. Fans will have the chance to vote on the best overall uniform including fourteen teams that each won the Uniform of the Week award throughout the college football season.